Costa Rica is one of the most desirable places in the World to retire for its beautiful natural scenery, tranquil “Pura Vida” lifestyle, friendly locals, year round temperate climate, and many more reasons depending on the individual. In this blog I will discuss the Top 10 Reasons that most people retire here. The majority of retires are from the U.S., Canada, and Europe making Costa Rica a unique country of many cultures living peacefully together in paradise and truly enjoying life!! Cost of Living – Life in Costa Rica is very affordable and one of the lowest in the Americas. 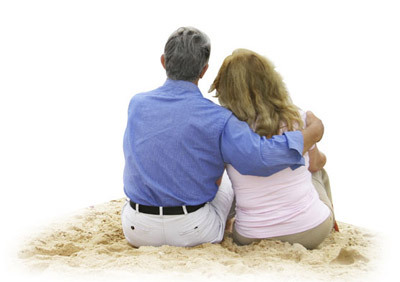 For $1,200 per month a retired couple can live very well and for around $2,000 per month can live affluently. Utilities are up to 30% cheaper in Costa Rica than the US and Europe and a full time gardener and house keeper can be obtained for a few hundred dollars per month each. Numerous inexpensive local restaurants with fresh local fruits, vegetables, meats, and seafood ingredients make eating out enjoyable. Lifestyle – The ‘Pura Vida’ or the ‘Pure life’ is the local expression for everything from a greeting to a state of mind. The pace of life here is laid back and punctuality is merely a suggestion, which is the whole idea of retirement. There is also plenty to do for those searching a healthy active lifestyle such as: surfing, hiking, white water rafting, bird watching, sport fishing, biking, zip line tours, horseback riding, walking secluded beaches, and much more. Explore or relax as much as one desires. According to the New Economics Forum Costa Rica is the happiest country in the World, ranking 1st on the Happy Planet Index in 2009, up from 3rd in 2006. It also consistently ranks among the top Latin American countries on the Human Development Index. Affordable Health Care – The cost of health care in Costa Rica is a fraction of that in the US or Europe. Many even come here for medical tourism to enjoy the benefits of World class medicine and a top travel destination. Public health care is readily available and private hospitals such as: CIMA Hospital, Clinica Biblia, and Hospital Catolica are filled with specialist doctors that studied abroad. Natural Beauty – Costa Rica is unsurpassed as one of the most naturally beautiful countries in the World with mountains, rainforests, volcanoes, pristine beaches, rivers, and two coastlines bordered by the Caribbean Sea and the Pacific Ocean. Costa Rica, despite accounting for only 0.25% of the World’s land mass, it is home to 5% of the World’s biodiversity. National Geographic has called the Corcavado National Park on the Osa Peninsula in the Soutern Pacific Zone one of the most bio diverse places on the entire planet. This entry was posted in Costa Rica Real Estate, Living in Costa Rica, Retiring in Costa Rica and tagged Dominical Property, Retirement by dominicalproperty. Bookmark the permalink.